Switzerland and Denmark are considering measures which could lead to the return of decriminalised cannabis in 2012. In both cases, the main reason for the proposed change is to reduce the harm caused by pushing cannabis onto the black market. The simple, inarguable fact is that cannabis will continue to be consumed for its medicinal and recreational properties, so allowing otherwise law-abiding people to grow or purchase it legally is the best way to prevent cannabis sales enriching criminals. Four cantons in the French-speaking part of Switzerland – Geneva, Neuchatel, Vaud and Fribourg – have ratified an agreement to allow small-scale cultivation of cannabis within their borders. Under the new law, which should come into effect on January 1st 2012, adult residents may grow up to four cannabis plants for personal consumption. Houses with more than one adult may cultivate four plants per person, provided that each household member tends their own plants. 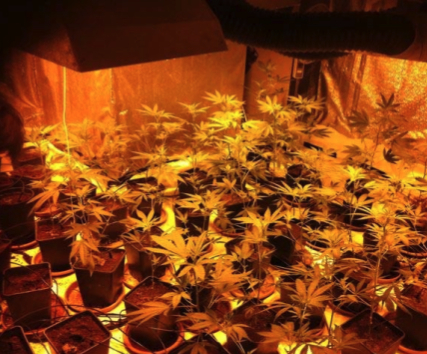 Anyone wishing to grow more than five plants or to trade in cannabis products is required to seek authorisation from the relevant authorities, but growing four plants or fewer will not need to be reported. The new law is intended to prevent ‘drug tourism’ between cantons with different laws, and to prevent cannabis being sold on the black market. The other 21 cantons of Switzerland have yet to decide on adopting a similar law. Similarly, Copenhagen Council is pushing ahead with its proposal to decriminalise cannabis within the city, and has set up a committee to investigate the best way to regulate the sale of hashish and marijuana. Currently, the favoured option is for 30 or 40 Council-controlled shops across the city in which adults may legally buy cannabis. The Copenhagen cannabis market is estimated to be worth around €200 million per year, most of which is assumed to be controlled by criminal gangs. Social Democrat councillor Lars Aslan Andersen believes that taking control of this trade would benefit all citizens, whether or not they consume cannabis, not to mention the city itself. Mikkel Warming, the Mayor in charge of Social Affairs pointed out that the Council wanted Copenhagen’s decriminalisation to be further reaching than that of the Netherlands, where the growing and importation of cannabis remains illegal, despite its sale being tolerated in licensed coffeeshops. “We don’t want an Amsterdam model. We want a way to make it legal to import or grow marijuana,” he said. The Copenhagen City Council’s proposal still has to be ratified by the Danish parliament, which has blocked similar movements in the past. Proponents of the change believe that a majority of the current parliament could support decriminalisation this time around. In spite of the current Dutch government’s desire to do away with the tolerance policy adopt a regressive attitude to cannabis, it’s very encouraging that several other countries on the continent seem determined to move forward. The War On Drugs Has Failed! The global war on drugs has failed, a high-level commission comprised of former presidents, public intellectuals and other leaders studying drug policies concluded in a report released Thursday. International efforts to crack down on drug producers and consumers and to try to reduce demand have had “devastating consequences for individuals and societies around the world,” the report from the Global Commission on Drug Policy said. The commission, which includes former U.N. Secretary-General Kofi Annan, Virgin Group founder Richard Branson and Nobel laureate Mario Vargas Llosa, challenges the conventional wisdom about drug markets and drug use. — Ditch “just say no” and “zero tolerance” policies for youth in favor of other educational efforts. The theory that increasing law enforcement action would lead to a shrinking drug market has not worked, the report says. To the contrary, illegal drug markets and the organized criminal organizations that traffic them have grown, the group found. The report comes as countries such as Mexico suffer from widespread drug-related violence. More than 40,000 people have been killed in Mexico in the past four years as rival cartels battle each other over lucrative smuggling corridors and as the army fights the cartels. The commission’s findings add more high-profile voices to a growing movement calling for a radical approach to drugs. Other leaders, such as former Mexican President Vicente Fox, have called for drug legalization as part of a solution to his country’s woes. And here’s one more former politician advocating for legalization of drugs! It seems that quite a few of them can have a totally different speech once they retire. This double-sided view doesn’t reassure much when you realize these guys have the power, or better to say, they serve it. The organised crime in Mexico has indeed more power than it’s own government when it comes to war. Maybe that is the lesson Vincente Fox, former president of Mexico, learned since he left his office. Not even a week after the current president Calderon opened the door for discussions about the legalization of drugs, Fox’s comment on his blog shows his support to such initiative. According to Fox, the government could tax legalized drug sales to finance programs for reducing addiction and rehabilitating users. Fox, who left office with low approval ratings, came under criticism for starting an anti-cartel crackdown aimed at arresting the gangs’ leaders. The approach led to power vacuums that fed brutal fighting among rival cartels, bringing violence that has killed more than 28,000 people since Calderon took office. Drug violence has damaged “the perception and image of the country, and economic activity, particularly in tourism and foreign investment,” Fox said. Mexico already eliminated jail time for possessing small amounts of cannabis, cocaine, heroin, LSD and methamphetamine in 2009, giving it some of the world’s most liberal drug laws. Several Latin American countries have decriminalized possession of small amounts of drugs for personal use, but legalization has been slower in coming. He has a point. It seems that their government provided more for the cartels by wasting money on a lost war rather than for the rest of their population. Will California be the pioneer in drug policy changes? California — In 1971 a group of teenagers in San Rafael, north of San Francisco, started meeting after school, at 4:20 p.m., to get high. The habit spread, and 420 became code for fun time among potheads worldwide. Ever since, California has remained in the vanguard of global cannabis culture. Oaksterdam University in Oakland is today unique in the world as a sort of Aristotelian lyceum for the study of all aspects — horticultural, scientific, historical — of the weed. Legally, California has also been a pioneer, at least within America. 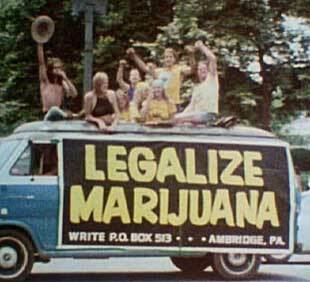 In 1996 it was the first state to allow marijuana to be grown and consumed for medicinal purposes. Since then, 13states and the District of Columbia have followed, and others are considering it. Horse mint looks really similar to pot, doesn't it? We’re not sure if this story from the never-ending War On (Certain) Drugs makes us want to laugh to or cry. “Police then hauled away 300 to 400 medium-sized plants that they, too, believed were marijuana. Exhausted officers only stopped collecting the harmless plants because it got too dark to work; they planned to return bright and early in the morning to look around for more marijuana. In many ways, this story is no more ridiculous than the ongoing effort to stop people growing cannabis, and funny because at least no-one had their lives ruined because they grew a plant. Better that the cops in question spent an afternoon gardening instead of harassing smokers and growers. We declared a war on ourselves, not drugs! As the country of origin for the war on drugs, the USA is the perfect example to overview the consequences of such measure. ALL OF US USE DRUGS, BUT ONLY SOME OF US GO TO JAIL! Despite a $40 billion a year “war on drugs” that is premised on the goal of creating a “drug-free society,” our country is swimming in drugs. Most people start using drugs before they even leave the house in the morning. Yes, that first cup of coffee is what many of us need to start the day. The next drug that millions of Americans use, sometimes up to 20 times a day, is our nicotine! And then, after a long day of work, many of us head to a local bar or to our refrigerator and pour ourselves a cocktail, ice cold beer or a nice glass of wine. And I’m just getting started. There are over 100 million Americans who have used marijuana. Thirty years after Nancy Reagan told us to “Just Say No,” half of high-school seniors will try marijuana and 75% will try alcohol before they graduate. And what about the college students who use Ritalin to help them focus and put in long hours at the library? And how about all of the superstar athletes who use performance enhancing substances? What about all of the men ( and women ) who are deeply grateful forthe “little blue pill”? And how about the businessmen who stay up until three in the morning with the help of a “little bump”? Drugs are so popular because people use them for both pleasure and for pain. Drugs can be fun. How many of us enjoy having some drinks and going out dancing? How many of us enjoy a little smoke after a nice dinner with friends? Many people bond with others or find inspiration alone while under the influence of drugs. On the flip side, many people self-medicate to try to ease the pain in their lives. How many have us have had too much to drink to drown our sorrows over a breakup or some other painful event? How many of us smoke cigarettes or take prescription drugs to deal with anxiety or stress? Throughout recorded history, people have inevitably altered their consciousness to fall asleep, wake up, deal with stress, and for creative and spiritual purposes. In little over 8 minutes Judge Jim Gray from Orange County, California, explains what 6 groups benefit most from drug prohibition AND he gives 6 clear reasons why cannabis should be legal!